3 questions to help you decide if you should #deleteFacebook. Government and industry scrutiny continues to grow over the revelations about the data of 50 million Facebook accounts being used by Computer Analytica. Consumer concerns also seem to be at an all-time high, resulting in a #deleteFacebook movement to encourage people to quit the world’s largest social media channel. Although Google searches related to deleting Facebook have tripled since the news broke, it remains to be seen how many people will follow through and delete their account. A recent poll of Canadians showed that only 1 in 10 plans to ‘abandon’ Facebook at least temporarily. With all the apparent outrage, why are so few likely to quit? Much has been written in the past few years about the addictive nature of social media. Technology designers leverage our psychological vulnerabilities to grab our attention and hold it for as long as possible. So, it’s not surprising that many people find it difficult to break free from Facebook, even with increasing concerns about its role in fake news, social media addiction, etc. Now, with the recent privacy breach, many are wondering if the time has come to finally quit the social channel. To help you decide if you should #deleteFacebook, ask yourself these three questions. How do you benefit from Facebook? As a social network platform, the most common benefits of using Facebook are around sharing and connecting with others. It’s a quick, easy way to get updates on friends and family, especially those who live far away. Some people use it to re-connect with those they’ve lost touch with or to find new people to connect with, through common interests — personal or professional. Beyond social networking, others enjoy news updates on the site and even some of the advertising. So, what is it that you like about Facebook? What does it give you or allow you to do that adds value to your life, personally or professionally? For me, there is some benefit in seeing what’s happening with my extended family, as they live out of province and I rarely see them in person. I also value a few Facebook groups that I belong to. One is a health and fitness group that keeps me motivated and supported. Another group is for students of a course I’ve taken, which benefits me professionally. The last few groups are interest-based, some of which hold events which I occasionally attend. I find I’m clicking less on the news articles that appear in my feed than I used to and I very rarely click on an ad. Overall, the benefits I get from Facebook are not huge but they are significant. And it would be difficult to get those benefits through other means. What does being on Facebook cost you? Let’s be clear about one thing. Facebook is not free. You may not have to pay money to use it but you are providing them with other valuable assets, including your time, attention and data. Your data is the easiest thing to assign a value to. Data is the core basis for the company’s worth and the reason that Facebook’s worth is still estimated at $500 billion, even after a $37 billion decline due to the Cambridge Analytica controversy. Whether privacy concerns you or not, the frequency of security breaches at various companies and institutions around the world proves that nobody can guarantee the safe-guarding of data. Anything we post online is vulnerable for use by others, regardless of privacy policies and security protocols. Besides your data, you are also giving Facebook your time and attention. We don’t often place a value on these, except in a commercial sense when we pay for a service by the hour, for example. But time spent on Facebook is time you could spend elsewhere and that is worth something. Are you’re happy with the amount of time and attention you give Facebook? Is it too much or just enough? Do you wish you were spending it on something else? I often hear people talk about how they lose track of time when they’re on Facebook and how they don’t have enough time for family and friends, exercise, hobbies or sleep — this is not a coincidence. It’s important to note that we can also potentially pay a price for Facebook through our wellbeing. Research has shown that social media can negatively impact our mental health, causing feelings of envy and inadequacy. This is especially true for those suffering from depression. Even Facebook itself has admitted there can be negatives repercussions from using social media, though they propose that how you use it is what matters. I’ve paid close attention to what Facebook costs me and have cut back the time I spend on it so that it’s now less than half an hour a day. That’s just enough time for me to find out what’s going on with those I care about, see what events are coming up and gather any information I need. And, although I’ve adjusted all my privacy settings so they are as strong as possible, I still only post things that I’m comfortable sharing publicly. Is the cost of Facebook worth what you're getting out of it? This is the most important of the three questions. It’s time for you to decide whether the benefits Facebook delivers you are worth your privacy, your time and the potential impact on your mental wellbeing. If you’ve decided the costs are too high and you no longer want to pay them, then it’s time to #deleteFacebook. Here’s a link that walks you through the steps. 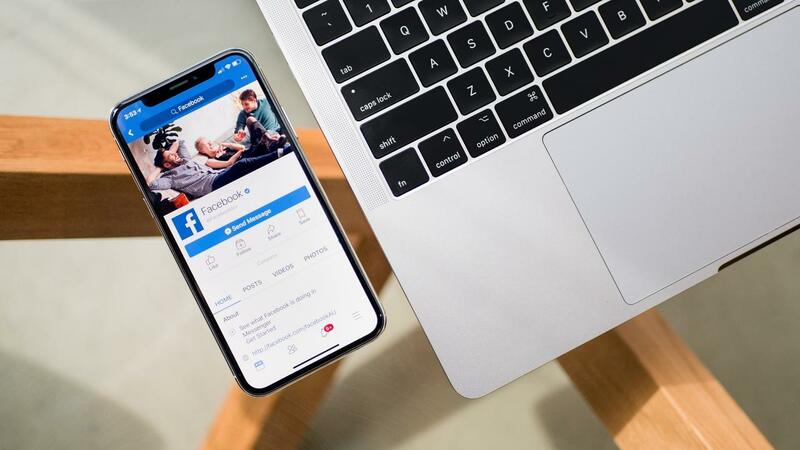 If you’re comfortable with the costs you’re paying for Facebook and feel it provides enough value then at least take the appropriate measures to ensure that your data is protected as much as possible. I’ve considered deleting my Facebook account several times over the past couple of years. Each time I’ve asked myself these three questions and each time I’ve concluded it was worth keeping. Admittedly, if I could find another way to connect with the groups I belong to, I would probably delete it. So I’ll keep my Facebook account for now and pay them as little as possible to get what I need — just like any other product or service I buy. I’d love to hear your thoughts. Are you going to #deleteFacebook? If so, why? If not, why not?